All mains are flavoured with Squires Loft Baste when grilled and are served with your choice of chips or baked potato. All prices are inclusive of GST. No Bill Splitting. 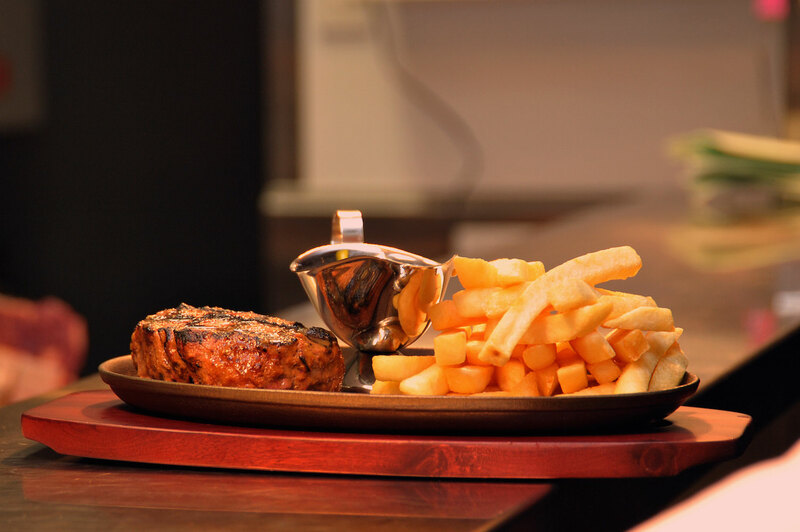 All mains are served with your choice of chips or baked potato and are cooked with our special basting sauce. Cheese Platter: A selection of 5 Imported and local cheeses – served with fruit, nuts & fig jam. Note:- Minimum numbers apply for set menus – $57.00 6 pax, $67.00 and $77.00 4 pax. Our mains are flavoured with Squires Loft baste when grilled (excluding Boerewors). All are served with your choice of chips, baked potato or a side salad -Please note our chips contain beef tallow. 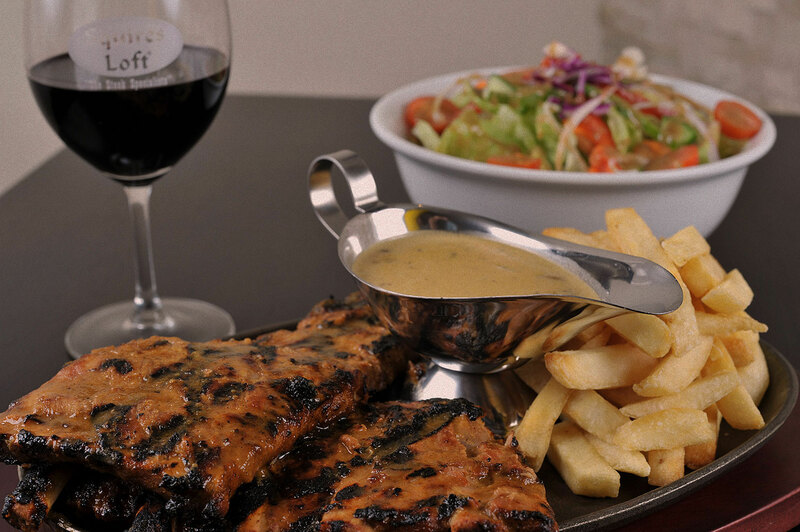 All mains are char-grilled with Squires Loft baste and served with your choice of chips or baked potato. Mains are flavoured with Squires Loft baste when grilled and served with your choice of chips or baked potato. Most mains are flavoured with Squires Loft baste when grilled. All are served with your choice of chips or baked potato..
All prices are inclusive of G.S.T. No Bill Splitting. $5 Per Person Surcharge on Public Holidays. Mains are flavoured with Squires Loft baste when grilled. All served with your choice of chips or baked potato or side salad. Wagyu Burger: Served on a brioche bun with tomato, onion and cheese with jalapeno mayonnaise. 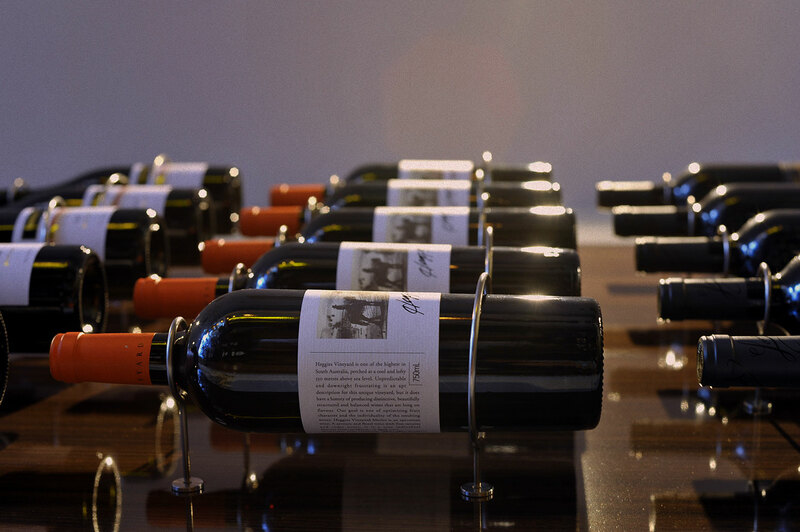 Our steaks are sourced from the best suppliers in Australia and are authentic 100% Australian beef. 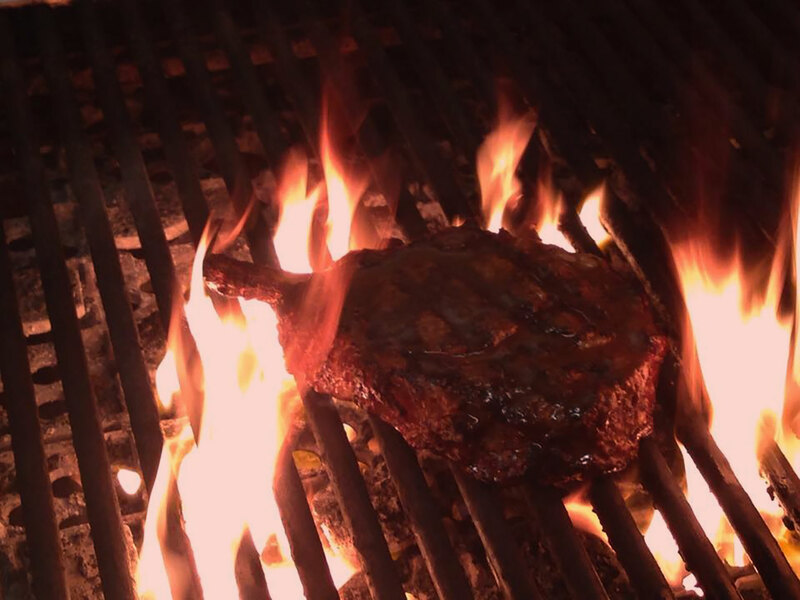 All steaks are served with your choice of chips, baked potato or side salad. Porterhouse – 300g Also known as the strip-loin or sirloin, it is cut from the rump end of the short loin. Scotch Fillet – 350g Cut from the forequarter near the rib section it is also the Rib Eye without the bone. dispersed throughout the meat. This marbling trait of Angus creates a more tender, juicy and flavoursome meat than other breeds.